A mag 6.3 - 76km S of Putre, Chile is January's 5th quake and the 5th of 2018 of course but what you probably didn't know, every major quake this month has occurred when a coronal hole on our Sun has been facing Earth and ejecting solar wind at incredible speeds and causing massive stress on our magnetosphere as it absorbs these incredible powerful winds. 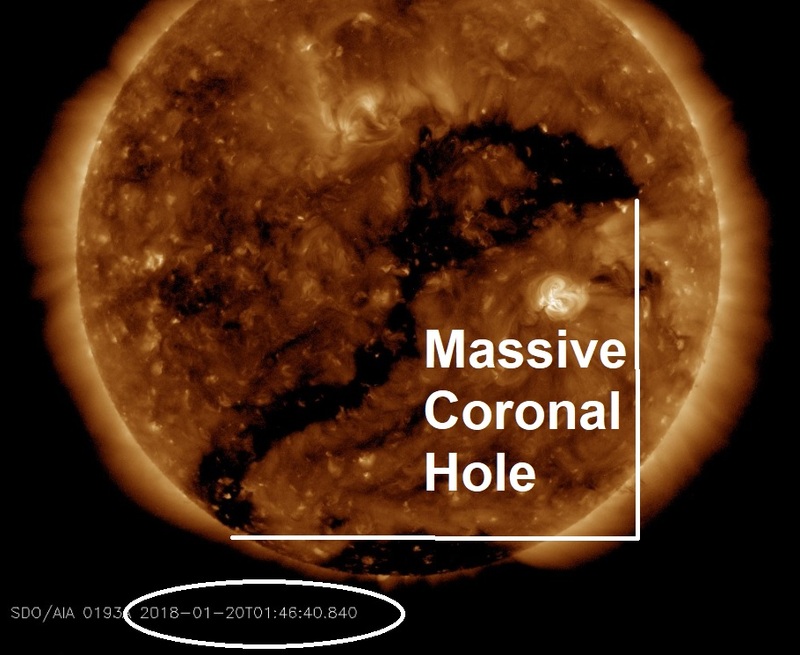 With that in mind this year, whenever I report a major quake, a space weather report will be added for roughly the same time as the quake to monitor just how many major quakes are being influenced from our Sun. 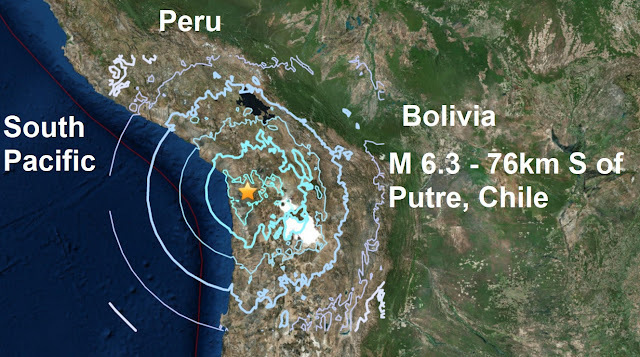 The major quakes usually happen one or two days before the full impact of the solar winds arrive but can also happen while the magnetosphere is being impacted full on. The K-index, and by extension the Planetary K-index, shown below, are used to characterize the magnitude of a geomagnetic storm. 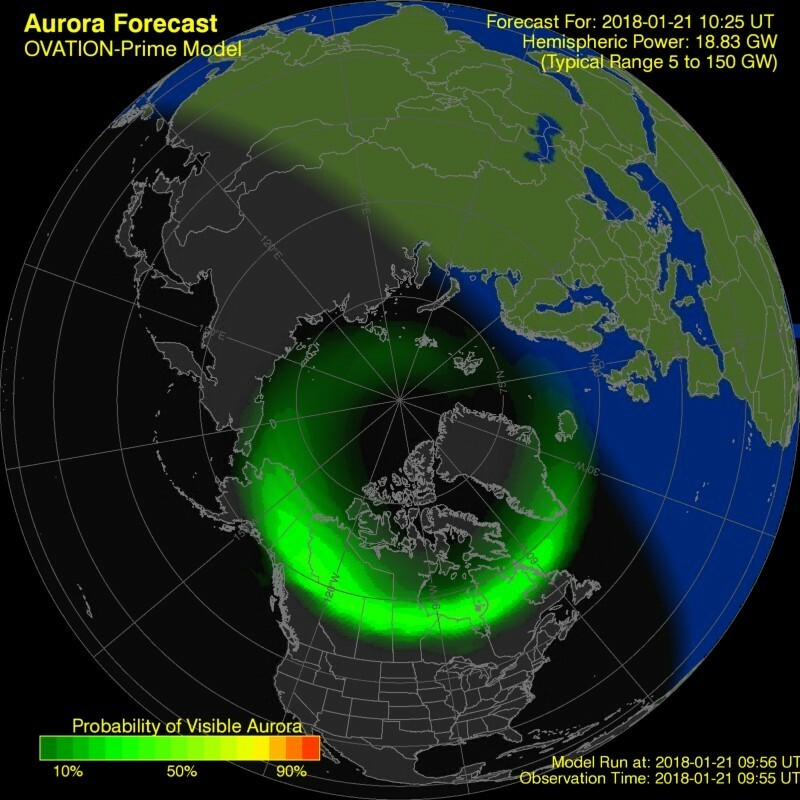 The principal users affected by geomagnetic storms are the electrical power grid, spacecraft operations, satellites, users of radio signals that reflect off of or pass through the ionosphere, and observers of the aurora. A big storm can knock out electrical installations on Earth. As the solar winds arrive and intensify the chart above will alter, the bar colours will change from green to yellow to red as the storm increases. As the solar winds impact our magnetosphere they will create auroras around the poles, see above.